Malala Yousafzai. The girl who was shot by the Taliban for standing up for education. A girl who has become a worldwide sensation, a girl who has become the face of empowering girls, a girl who just wants girls to have a chance in this world. The girl who is the face of strength. A Nobel Peace recipient. 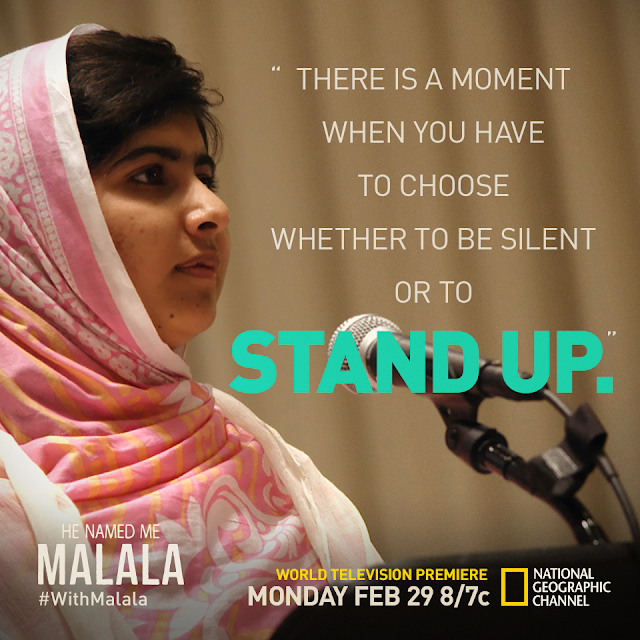 I posted the other day about the world premiere of "He Named Me Malala" on National Geographic Channel on February 29th. I have just started reading "I Am Malala" in anticipation of the premiere and I am absolutely blown away. Her story is amazing. Her love of the Swat Valley, Pakistan is evident. The love for her people, education and rights for girls is so passionate that the reader can't help but feel an overwhelming desire to help, too. I am only a few chapters in but.... I can't help but feel the pull on my heart to do something. 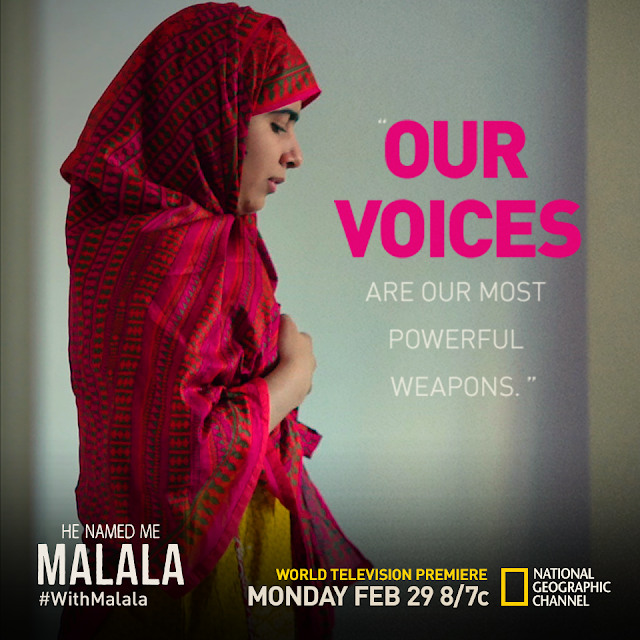 Her story drew me in from the moment I first heard of Malala when she was shot. She believes that educating the population is the number one defense in ending terrorism and oppression. I agree with her. TUNE IN!!!!! This is a MUST watch event! Would you love the opportunity to read "I am Malala"? I am giving away ONE copy of "I am Malala" to one of my amazing readers! Giveaway will end on March 9th. One winner. US only.